Chunyuan Zou teaches a lesson in Chinese to her kindergarten class at Downes Elementary School in 2014. When those students matriculate to middle school in Fall 2019, the Chinese immersion program will expand to Shue-Medill Middle School. 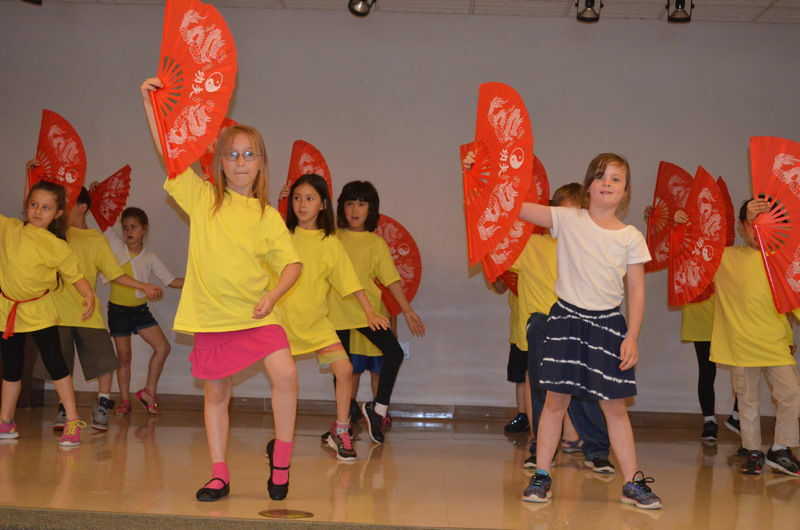 Downes Elementary Chinese immersion students perform a cultural dance at the Newark Senior Center in 2015. To broaden students’ understanding of culture and the world, Shue-Medill Middle School will offer a Chinese immersion program beginning in the 2019-2020 academic year. The expansion of Christina School District’s immersion program will come as the district’s first class of immersion students – who started learning Mandarin as kindergarteners at Downes Elementary School – enter middle school.